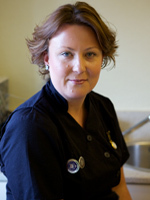 Ciara, our practice manager has been with us now for five years. 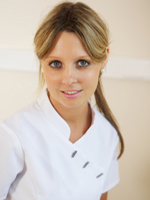 She is a fully qualified dental nurse with 15 years’ experience. Her first priority is to you, the patient. She takes great pride in her role in our surgery and is more than happy to answer any questions or concerns that you may have. Her warmth and sense of humour will help you feel at ease, and her organisational skills and efficiency are a great asset to us. Please contact Ciara if you have any queries. 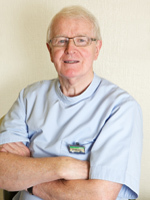 Noel has over 30 years’ experience of treating patients in Celbridge. During this time, his friendly manner and his gentle approach have been the hallmark of his successful reputation. 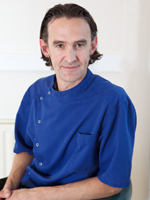 The knowledge he has acquired over the years ensures a high level of dental care and understanding of patients’ needs. Noel is a member of the IDA and engages in continual professional development on a regular basis. If you are looking for a highly skilled celbridge dentist, we can ensure an unrivaled level of dental care and treatment. Dony graduated from the University of Cardiff in 2002. He then went on and completed a year’s vocational training in the UK after which he returned to Ireland to work in the family practice. Dony enjoys all aspects of general dentistry, with a special interest in Endodontics (i.e. root canal therapy) and treating children. Being a dad himself, he has plenty of experience of making their visit to the dentist an enjoyable one. Orla is the newest member of our dental team, joining the practice in 2008. She qualified from University College Cork and then spent a year in vocational training in Ipswich. She stayed in the UK and spent 2 and half years in general practice. During this time, she developed a keen interest in oral surgery. On her return to Ireland, she came to work with our dentist team in Celbridge. She has been a tremendous asset to our practice and her friendly, relaxed manner helps puts anxious patients at their ease. Michael received his dental degree from Trinity College in 1979. 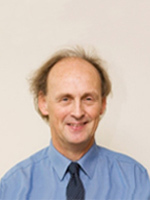 In 1992 he undertook a three-year specialty programme in orthodontics at the University of Illinois in Chicago, obtaining his Masters degree in 1995. In 1997 we invited Michael to be a part of our team, and he continues to provide an orthodontic service within the practice. Michael also has his own orthodontic practice in Dundrum. Annamarie is our practice hygienist. 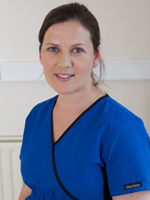 She began her dental career as a qualified dental nurse in Galway. She later fulfilled her ambition to become a dental hygienist when she qualified from the Dublin Dental Hospital in 2007. Annamarie plays a crucial role in fighting gum disease and helping our patients to achieve and maintain good oral hygiene. She loves the work that she does and this is apparent in the relationships she has built up with her patients over the years. Caroline, Aisling and Debbie are our dental nursing team and work with our dentists to provide the highest standard of care to our patients. They are an integral part of our team and always ensure our patients are greeted with a smile.